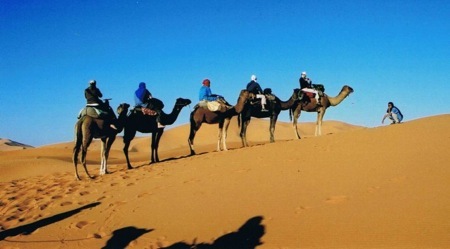 Berber Tours to Morocco are authentic way to Discover a Berber Village, visit ancient kasbahs and camel trek in the Sahara Desert. Discover a Berber Village is a Southern Morocco Cultural Tour that is an EXCLUSIVE Travel Exploration Morocco. Discover a Berber Village is a historical journey where Moroccan travelers can have an up close and authentic experience in a Moroccan, Berber Village while visiting the Ouarzazate and Zagora regions of Morocco. When traveling to Morocco, a Morocco vacation is not complete without visiting Morocco’s indigenous people and discovering its Berber Villages. A Berber Tour to Morocco is the most important Moroccan voyage for those who are interested in Morocco’s history and old world traditions. Visiting Morocco on a Berber Tour, offers Moroccan travelers the opportunity to spend the day and an over night stay with a Berber family in Ait Ouzzine, (translated from Berber as “the nice village”) near the small city of N’kob within the Zagora region. Ait Ouzzine is a Berber village that tucked beneath the Middle Atlas Mountains within the Draa Valley region. Visiting the Berber Village of Ait Ouzzine on a Berber Tour guarantees a unique Morocco Travel adventure. A visit to the Berber village, Ait Ouzzine includes partaking in a cooking lesson of how to make traditional bread and a Moroccan tajine, exploring the village’s Kasbahs by foot, strolling the green fields and seeing first hand, how the traditional Berbers live among their live stock and at peace within their natural surroundings. During the Berber Tour in Ait Ouzzine, a traditional Berber family will serve lunch and host you as a Moroccan traveler with top quality and genteel service. The menu for your Berber Tour in a Berber village for lunch will include a traditional meal of Moroccan couscous, followed a Moroccan tajine and fresh local fruits for desert. After lunch, part of the Berber Tour includes having your hands and feet adorned with henna by a local village artist and experiencing the tradition of Berber perfume. The Berber Tour does not end here. After experiencing the unique making and enjoyment of Berber perfume, Moroccan travelers will be able to spend the night with a Berber family in their traditional family Kasbah. The Berbers are the original inhabitants of Morocco. It is said that the origin of the Berbers is Afro-Asiatic. The Berbers refer to themselves as Imazighen, meaning “free people.” The Berber population in Morocco fled to the mountain regions when the Arabs invaded the Maghreb in the seventh century. The Berbers witnessed several invaders come and go such as the Carthaginians, Romans, Vandals, Byzantines – while they remained secure in the mountains and the depths of the desert. When the Arabs invaded in the seventh century, the Berbers quickly adopted Islam. Today, a majority of North Africans are of mixed Amazigh and Arab ancestry yet consider themselves Arabs. Of the minority that identifies as Amazigh, the largest group lives in Morocco, making up about a third of the country’s 32 million people. 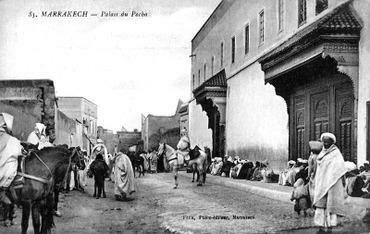 Since the Arabs conquered Morocco, the Berbers in the Middle Atlas Mountains and other regions of Morocco have maintained ancient traditions and preserved a unique, semi-nomadic lifestyle that is authentic Moroccan. 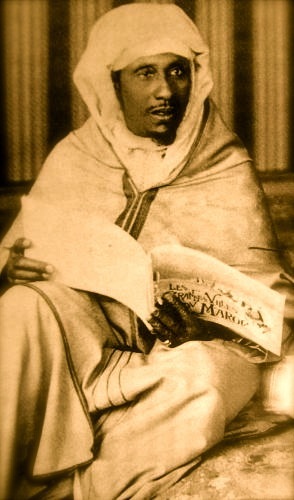 As converts to Islam, the Berbers kept their original cultural and religious traditions in tact while accepting those imposed by the Arab population. Today Berbers practice both their own cultural traditions and observe Islamic religious and cultural traditions as well. 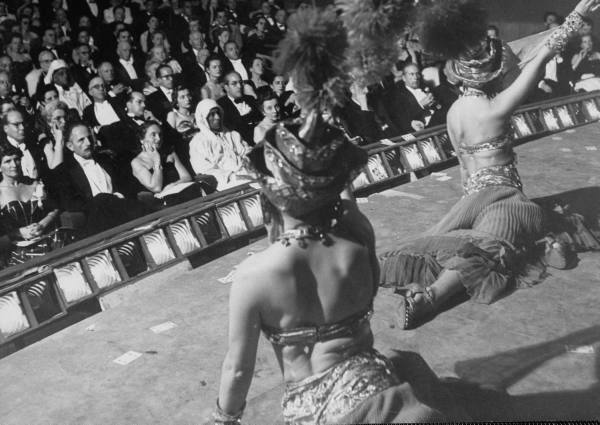 As one of the most modern Muslim country’s in the world where Arabs, Jews and Christians have lived side by side in relative peace for centuries, Morocco boasts the largest Berber population who maintain their oral, agricultural and ancient traditions through the expression of Berber music, Berber culture, Berber food and Berber dance. The Timitar Festival in Agadir which is held annually in July is a celebration of both Berber Music & other styles of Moroccan music. Another tradition that is recognized among the Berber population is the Imilchil Marriage Festival which is an authentic marriage ceremonial mousseum whereby Berber men gather to choose their brides. The Imilchil Marriage festival takes place in the Middle Atlas Mountain regions in September annually and is also referred to as the “September Marriage Festival.” The Berbers also carry on this tradition of peace that Morocco upholds through their gracious hospitality, love and genuine kindness for each other as a community and foreigners, Moroccan travelers who visit them. While Morocco’s population is approximately 85% Berber, the main language spoken and taught in schools is Arabic with the recent addition of French as a second language and in some cities English is offered as a third language. 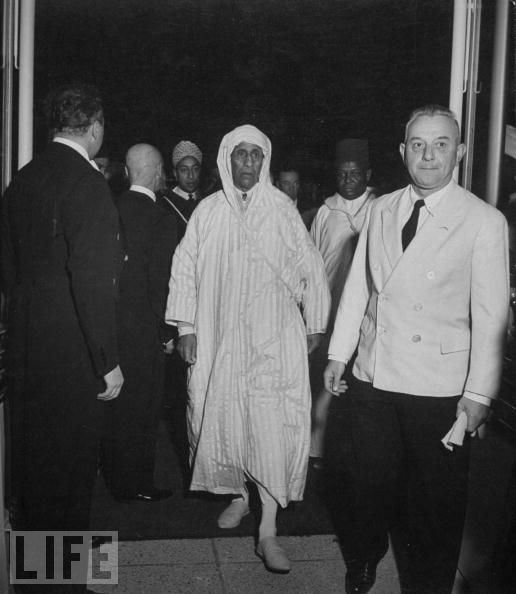 Since the reign of King Mohamed VI, who is often referred to as “the peoples King,” recognition and respect for Berber culture, their traditions and the Berber language has heightened significantly. 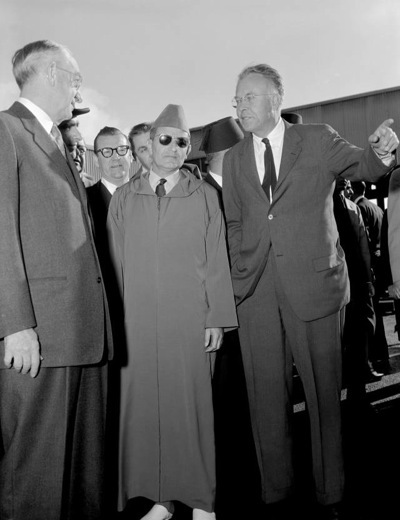 Mohamed VI is seen as one of Morocco’s most progressive King’s who has modernized Morocco’s Imperial Cities and Morocco’s countryside. 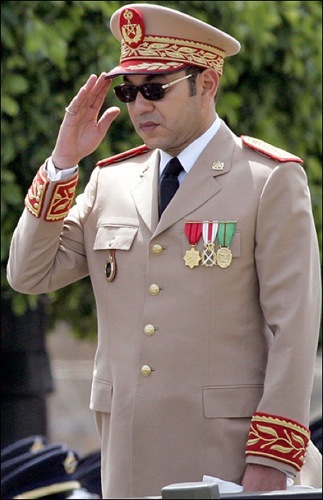 Mohamed VI of has lead the Kingdom of Morocco into further development on the world stage and is a modest King who is deeply loved and respected by the entire population of Morocco, as well as international leaders, world wide. The Berbers are still considered a minority in Morocco however this is rapidly changing. The Berber language is now being taught in schools and there 2010 marked the launch of a Berber “Tamazight” television station dedicated to broadcasting in Tamazight, the language of the country’s Amazigh, or Berber, people. Officially launched the first week in January 2010 by Morocco’s state-owned TV and Radio Company, “Tamazight Channel is the latest effort to boost Amazigh culture and language by a government keen to avoid political clashes along ethno-linguistic lines,” claims The National. 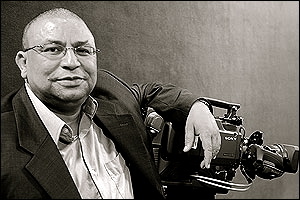 Tamazight Channel’s director, Mohamed Mamad, is adamant that his team “serves to consolidate the unity of the country”. While 30 percent of the Tamazight Channel’s programs will be in Arabic, the bulk of its 70 percent will air – with Arabic subtitles – in Tamazight. There are three main Berber dialects spoken in Morocco: Tamazight- Middle Atlas Mountain region, Tarafit in Northern Morocco and Tashelhit in the Souss- Agadir Region. 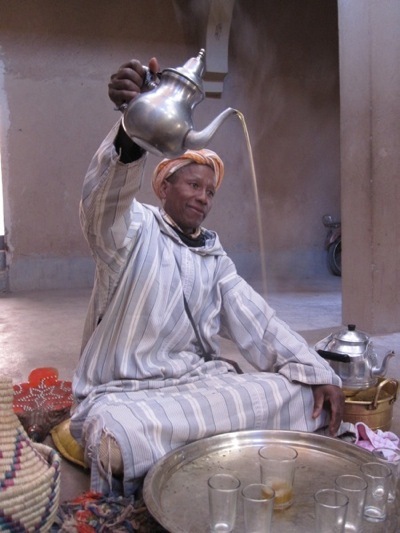 When traveling on a Berber Tour to the Ouarzazate and Zagora region it is best to use a Ouarzazate Travel Agency and make sure that your driver speaks fluent Berber which will enable you as a Moroccan traveler to have the best travel experience on your Berber Village Discovery Tour. ►Arrive in Ouarzazate, a French developed area that became a garrison town and is now the administrative centre of the Zagora region. Relax at your hotel and visit the souks. Enjoy dinner at the Berber Palace Hotel at their luxurious Moroccan Palace restaurant. ► “See Ouarzazate and die” are feelings often expressed by Moroccans with regards to this magical city that is the door to the Sahara desert. Located just four hours from Marrakech, Ouarzazate is the main Berber city in the south known for its spectacular sunsets and dramatic mountain and desert scenery. Surrounded by breathtaking valley, Ouarzazate was once crossing point for African traders seeking to reach northern cities in Morocco and Europe. ►Fill up on a savory breakfast of baguette, fresh fruit, jams and a café cassis (Moroccan cappuccino) at a local pâtisserie and then begin your one-day excursion to Atlas Film Studios, Aït Benhaddou and the Oasis of Fint. ►For lunch, relax on a terrace with clear views of Aït Benhaddouand enjoy a traditional Moroccan meal of mfouar (steamed wheat), Takila (a Berber tajine), couscous and fruit. After lunch, browse the village shops then climb back in the comfortable air-conditioned/heated 4×4 and head to the village of Tamadaght. ►After lunch, we will depart Aït Benhaddou and take the pise (windy road) towards the Oasis of Fint passing the “Plateau de pierres”. On this road you will find a shining Oasis of palms. Visit this Oasis of Fint that hovers under the Atlas Mountains. Journey on a one-hour walk inside the Oasis where you will have a cup of tea with the headmaster’s family Azziz Ouaziz and tour the surrounding area where date palm oases and dramatic desert scenery are king. ►The small, sleepy town of Skoura has a big market Souk every Monday and a small group of administrative buildings. Most impressive in Skoura are the many Kasbahs that ripple through its dry rocky oasis. Skoura is referred to as the “Valley of OneThousand Kasbahs.” You will visit the 17th Century old Ben Morro Kasbah, which has been converted into a guesthouse and see the most imposing of the Kasbahs in this area, Amerhidil Kasbah. This fortified residence once belonged to the most powerful family responsible for protecting the village and its lands called the Glaoui. Today it is owned by the Sheikh of Amerhidil. ►We will visit the Kasbahs of Aït Abou, built in the 1800’s and the oldest Kasbah in the palm grove, is six stories and walls 25 m high. Its outside buildings have been turned into a garden filled with pomegranate,apple, pear, fig, quince and olive trees that provide the necessary shading for growing crops. ►Pass by Skoura, drive north heading towards the Amagoun Mountains and Berber villages standing among splendid landscapes and the Valley of Roses. ►Your driver will stop for you to view the Capp et Florale distillation factories laid out in El Kelaa Des Mgouna, a small Kasbah town that manufactures the entire nation’s products of eau de rose. The rose water and other products such as hand and body soaps, oil, crème perfume and dried flowers are for sale and also popular among Moroccans. The factories produce 3000-4000 petals a year. With ten tons of petals required to produce a few liters of precious oil, the harvest is understandably a labor of love and the culminating Festivities of the annual Rose Festival are all the livelier for it. ►After lunch drive to the Boulmane Dades and spend the night in a local hotel amidst the gorge. ►After a hearty Moroccan breakfast head for the adventure of a lifetime to experience the Todra Gorge in the High Atlas Mountains. The drive is scenic as with the new roads built, you will drive past the hotels at the mouth of the Gorge and up to the villages of Aït Hani, Tamtatouchte, and Imilchil. The Gorge extends from the village of Tamtatoucheto Tinerhir. ►The Todra, with cliffs rising dramatically up to 300m on each side of a narrow corridor, make up some of the most impressive cliffs and are by far, the highest in Morocco. The Todra Gorge is a spectacle with its gigantic rock walls changing color to create magical effects with the sunlight. In the morning, when the sun permeates through the bottom of the gorge, the rock changes from pink rose to deep ochre gradually throughout the rest of the day. ►It is possible to have lunch inside the Todra Gorge or at one of the restaurants beneath the overhanging cliffs with a panoramic view. After lunch you can continue by road or hike by foot, or horseback to explore the surrounding area and its Berber villages. Sometimes you can find the Nomad women with children from the Atlas Mountains visiting the Gorge to carry water by donkey to their village. Your driver will give you the option to visit the picturesque village of Tamtattouchte, whose red toned earth houses are located at the other end of the gorge. ►End your day with a drive to the village of N’kob for an overnight stay at a beautiful Maison de Charme in a riad style, built with the materials of the Moroccan tradition such as taddelakt and zellig. Ksar Jenna has wide open spaces, 7 rooms with every comfort, with large bathrooms and large common spaces, plunged in an oasis of quiet, in the heart of a luxuriant garden, with lots of palm trees, bougainvilleas, rose bushes, jasmines. ►Enjoy breakfast at your Riad and then walk to the village of Ait Ouzzine for a traditional Berber experience. ►Just 5 kilometers after N’kob is Aït Ouzzine (the nice village). Aït Ouzzine is a Berber village inhabited by over 300 families who live in beautifully painted crenulated kasbahs, with their own henna fields, water wells, livestock and gardens. This peaceful village is tucked away along an impressive desert route connecting the Draa Valley (Tansikht) and Rissani. 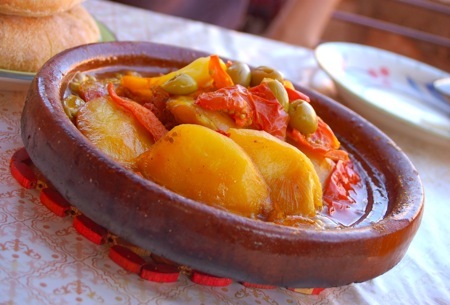 ►Meet a local Berber family, partake in a cooking lesson of how to make traditional bread and a tajine. Then explore and tour the village by foot. Walk in the green fields and see how the traditional Berbers live with their gardens of herbs, live stock, and henna plants. ►Lunch will be served to you in Aït Ouzzine by a traditional Berber family. The menu will include a traditional meal of fresh baked bread with spices and a chicken and vegetable tajine and fresh local fruits for desert. After lunch, you can have your hands and feet painted with henna by a local village artist and relax. End the afternoon with mint tea and almonds. Then rest at your hotel before having a traditional dinner with the Berber family of couscous and sheep’s stomach that is grilled by fire. This is similar to an American barbecue. After dinner spend the night with a Berber, Moroccan family in their traditional Kasbah. ►Fill up on a savory breakfast of baguette, fresh fruit, jams and a café cassis (Moroccan cappuccino) at a local pâtisserie and then begin your excursion to Zagora. 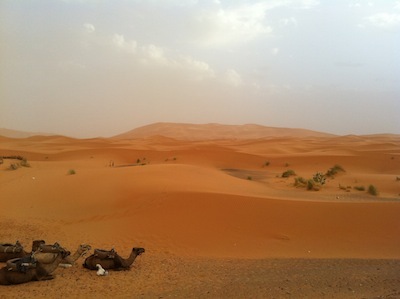 Zagora is a Saharan desert town in the southern Drâa Valley. ►Zagora is favored by travelers for its desert dunes, palms, 45 varieties of dates and its Hollywood sunset mountain backdrops. Take the road by pise (windy road) to discover the land where caravans once transported sugar, tea, dates and other dry goods to Ouarzazate. ►Later enjoy a camel excursion across the Dunes of Tinfo and visit the old Kasbah Ait Lkaid in the village of Tamegroute. 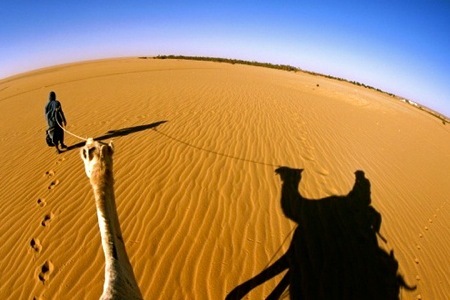 At the end of the main road you will find the famous road sign to Timbuktu that reads “52 jours” – 52 hours by camel. ►Enjoy lunch at a local kasbah hotel restaurant in the town of Zagora. The Dunes of Tinfo (as well as many other sand dunes in Morocco) are famous for their healing qualities for rheumatoid arthritis. Ask your guide to bury you in the sand from head to toe for this a 20 minute spa-like experience. 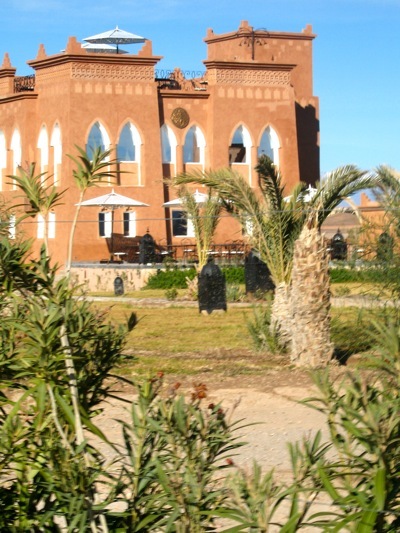 ►Take the road back to Ouarzazate, check in at your hotel, have dinner and relax for the evening. ►Rise early for your departure to the airport in Ouarzazate. This ends your Berber Tour and Morocco Travel experience with Travel Exploration, a Ouarzazate Travel Agency. ►Enjoy breakfast at your Riad in Ouarzazate. Then take the road through the Draa Valley to Discover the Berber Village Ait Ouzzine. Arrive in Ait Ouzzine in early afternoon. ►After visiting a Berber Village on a one-day excursion, Berber Tour from Ouarzazate, take the road and return to Ouarzazate. 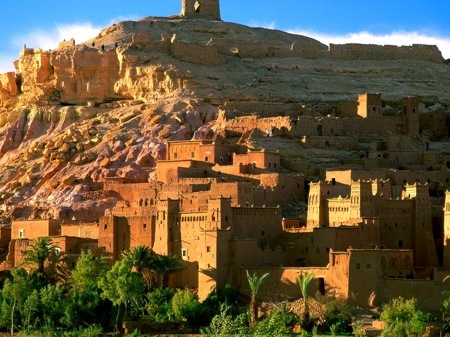 En route to your return, stop to visit the Berber Village & Ait Benhaddou Kasbah. Explore Ait Benhaddou by foot and then have tea in a lovely auberge that overlooks Ait Benhaddou. End the day watching the sunset in Ait Benhaddou and then return to your Riad in Ouarzazate. 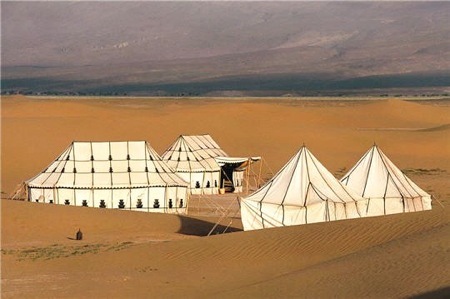 Traveling to Morocco’s Sahara region through a Ouarzazate Travel Agency guarantees an authentic Morocco Travel experience. When traveling to Morocco’s Zagora region of Ouarzazate, the Draa Valley and the M’hamid Sahara Desert (Erg Chegaga Dunes) it is important to also have a Ouarzazate or Saharan driver and licensed guide who speaks fluent English, Arabic & French as well as the local dialect of Berber (Tashlhiyt). 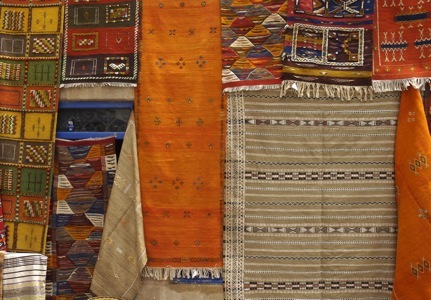 Kasbahs & Kilims are two genuine reasons to consider a short break to Morocco or a tailor made Private Morocco Tour. A Ouarzazate Travel Agency will be able to organize a seamless tour that enables you to discover the gems of Southern Morocco such as its ancient Kasbahs and Kilims. Southern Morocco’s Ouarzazate region is known for its ancient Kasbahs and hand made Berber Kilims. 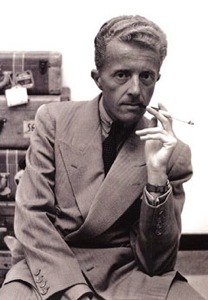 For centuries Morocco has been a premiere travel destination for American explorers, literary writers, artists and composers such as Paul Bowles, Allen Ginsberg, Brion Gysin, Isabelle Ebrehardt, William S. Burroughs and Yves Saint Laurent. Unlike other regions of Morocco both the Ouarzazate and Zagora region offer an untouched Morocco Travel journey that will enable you to engage up close with the Berber and Tuareg people. The Berber villages within the Draa Valley and Zagora region still retain their century-old traditions that makes for an attractive Morocco Travel cultural and enlightening educational experience. These Berber Villages are home to some of the most magnificent Kasbahs and High Atlas Mountain scenery. The century old Moroccan Kasbahs that once served as fortified villages to protect the Berbers now mainly serve as homes for their immediate and extended families. The Berber village experience is unlike another in Morocco. Spending a day with a Berber family in a traditional Moroccan village offers insight into how they live using ancient traditions that include baking bread by earthen oven, while using the wheat grown in locally in their fields and cooking couscous by candlelight. You can also witness how the henna plant is used to decorate the hands and feet of the Berbers in extraordinary beautiful patterns. 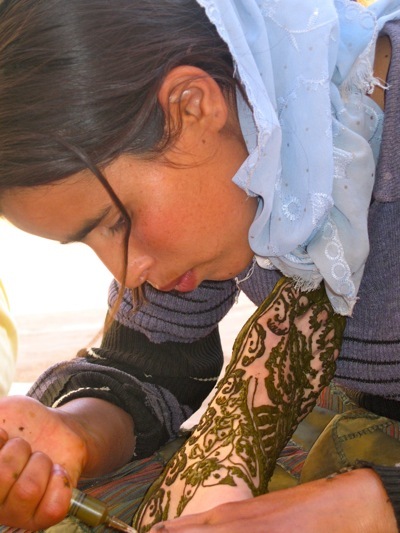 Part of touring through a Ouarzazate Travel Agency also enables you to have your hands and feet hennaed while spending time in the village and partake in the other daily activities. 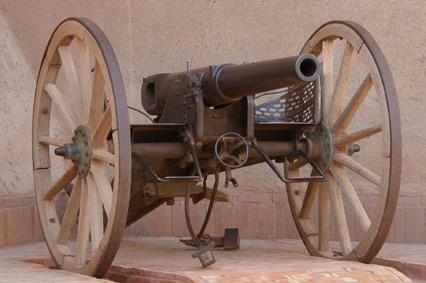 A Kasbah is referred to as a fortified village or a medina, Islamic city fortress. 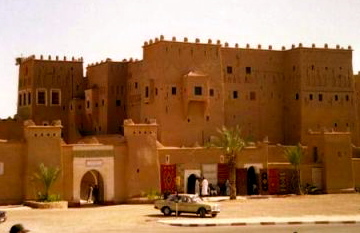 Traditionally Kasbahs is where local leaders lived and a Kasbah served as a defense when the city was under attack. Kasbahs high walls that are made of mud and earth typically have no windows. Kasbahs were traditionally built on top of a hill, which made them easier to defend however some were also built near the entrances of harbors. Having a Kasbah built was once a sign of wealth however almost all Moroccan cities, especially those in the Middle and High Atlas Mountain regions of Morocco had them as a necessity of survival. 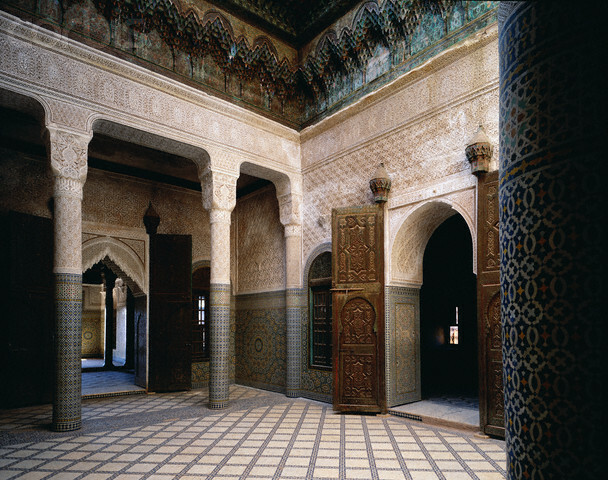 Today, Kasbahs in Morocco are often restored by foreigners and made into Raids, Bed & Breakfast style hotel accommodations or lived in by families. The Kasbah is by far one of the most charming and delightful forms of ancient architecture found in Morocco. A Kilim is a flat tapestry, woven carpet or rug. In Morocco Kilims are often referred to more generally as Berber carpets and is another great reason to travel to Morocco through an Ouarzazate Travel Agency. Southern Morocco’s Ouarzazate and Zagora region are famous for Berber carpets and offer travelers the opportunity to see how they are made locally and purchase them directly from Berber villages or in local shops that have more reasonable prices then the big cities such as Marrakech and Fes. Berber carpets are essentially the “free trade” carpets of Morocco. Berber carpets are often used as prayer rugs as well as for covering concrete and tiled floors in Morocco today. When traveling to Morocco you can choose a Sahara region tour for a cultural trip and adventure or opt for one that allows you to Shop the Souks of Morocco! You are currently browsing the archives for the Ait Benhaddou Kasbah category.